We had some beautiful views but nothing delicious to eat. The trail mix and stale nuts we brought on our trip helped to replenish lost energy but did nothing to satisfy our desire for something great tasting nutritious and as adventurous as our travels. 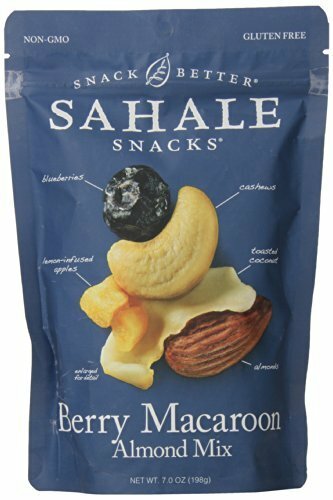 That experience inspired us to create Sahale Snacks.Features. Non-GMO.. Gluten Free.. Whole Dried Blueberries.. Whole Roasted Cashews.. Lemon-Infused Apples.. Whole Roasted Almonds.. Toasted Coconut.. Kosher.. sCapacity - 7oz.. Pack of 4.